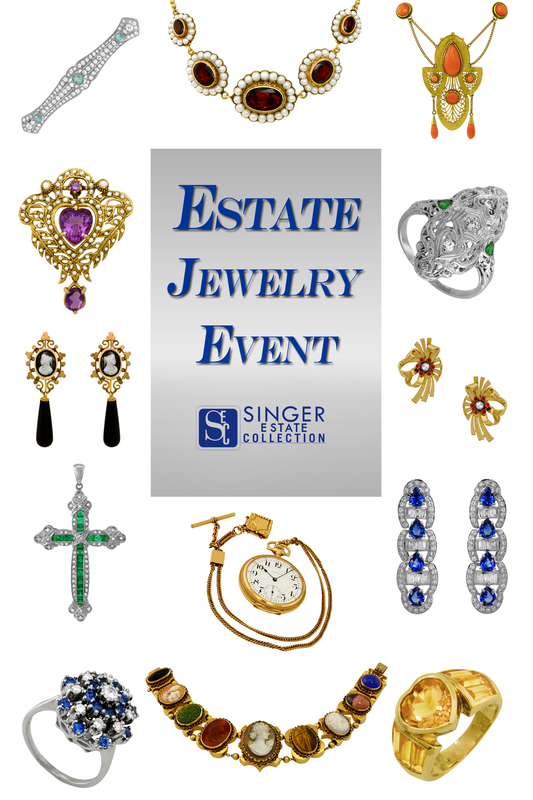 We are excited to present the Singer Estate Collection on April 25th, from 10am-9pm. The collection will feature rings, bracelets, necklaces, pins, brooches, earrings, and more! Precious and semi-precious gemstones set in gold and platinum as well as pieces that are previously owned by celebrities will be available for this ONE DAY! Sign up today to reserve an appointment time!